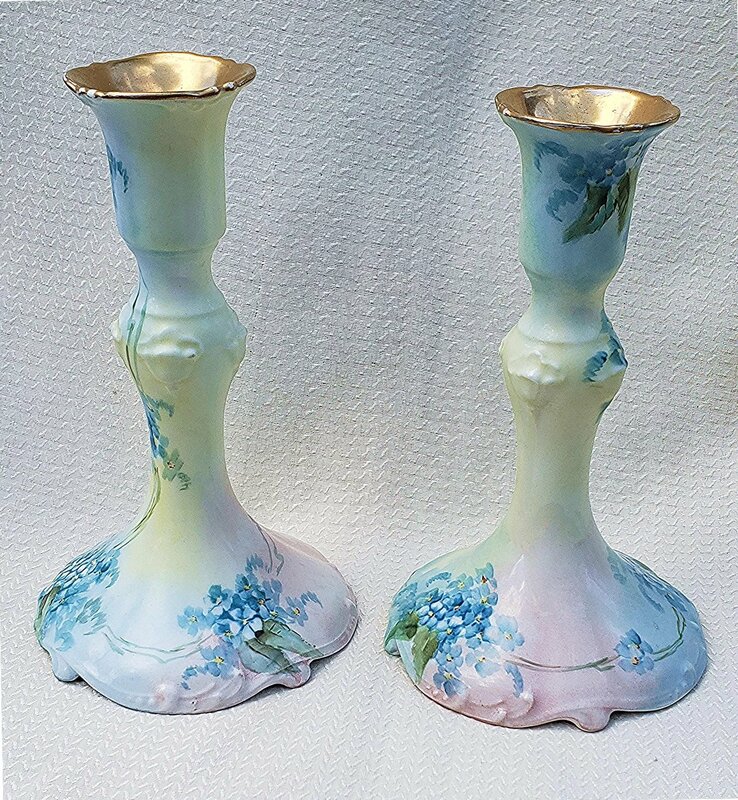 Fresh from a Old Chicago Estate comes this outstanding vintage Pair, circa 1908, of hand painted Limoges France Floral Candlestick Holders. 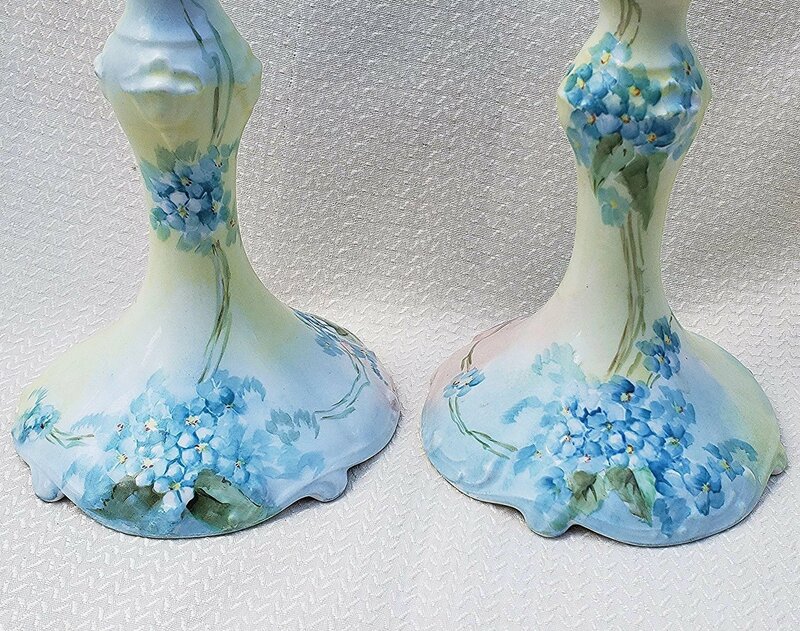 The beautiful Limoges France hand painted Candlestick Holders, which measure 6-1/2" tall with a 4" base, have been wonderfully decorated with vibrant & lifelike "Forget Me Not", on stem & leaf, against a background of shadow leafing and soft background colors of light cream robin blue, light cream yellow and light cream pink. 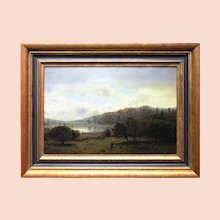 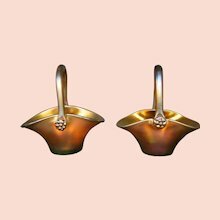 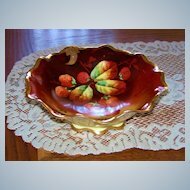 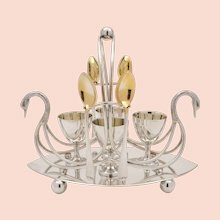 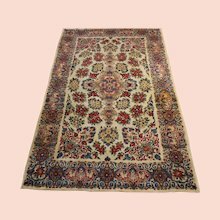 The flared top has been gilded in bright fire gold and goes well into the throat of this outstanding Pair. 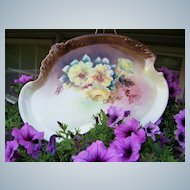 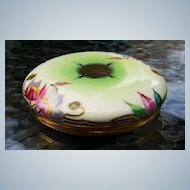 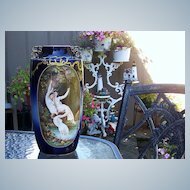 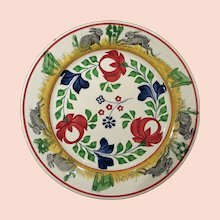 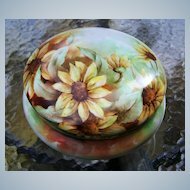 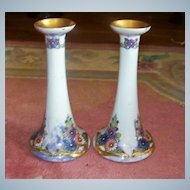 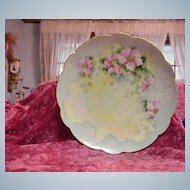 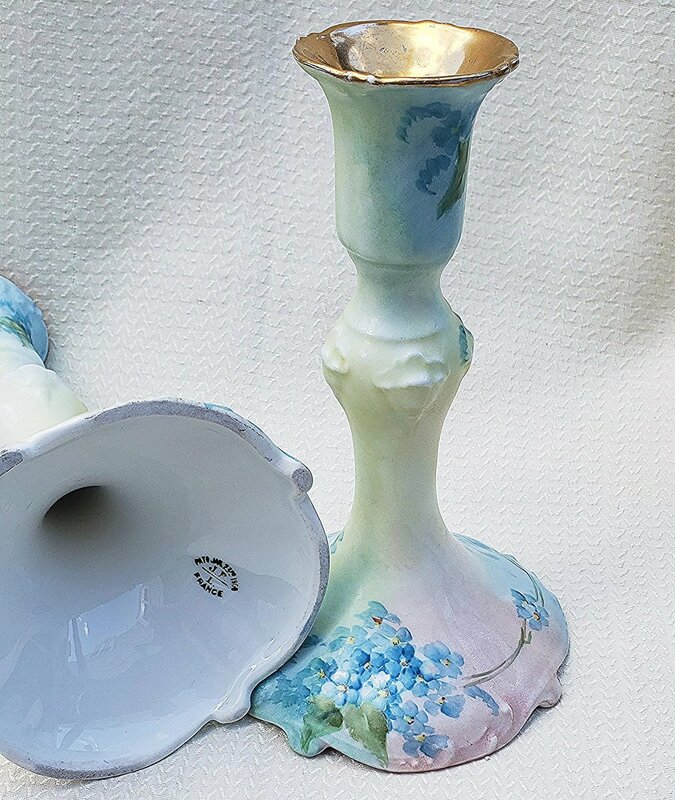 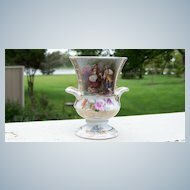 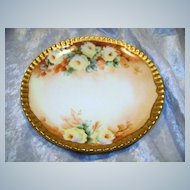 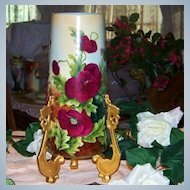 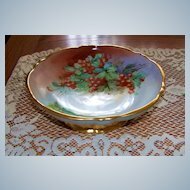 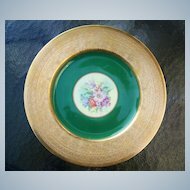 The Limoges France hand painted "Forget Me Not" Floral Candlestick Holders are in excellent condition and totally free of chips, cracks, or other damage with the bright fire gold being excellent with minor hints of wear. 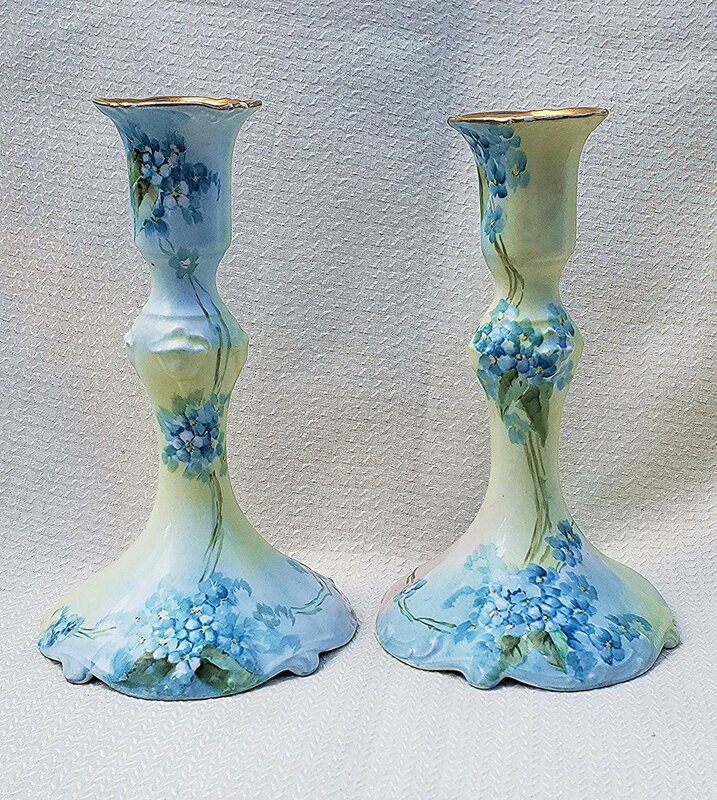 The charming vintage 1908 Hand Painted Pair of "Forget Me Not" 6-1/2" Floral Candlestick Holders displays a Jean Pouyat Limoges early mark; "Patent Jan 23rd 1908 J.P.L. 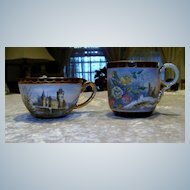 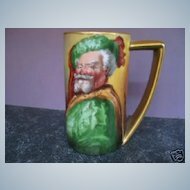 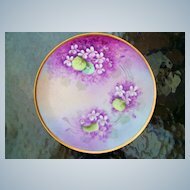 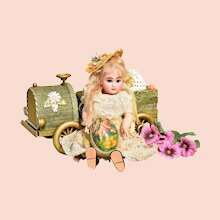 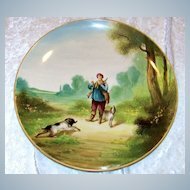 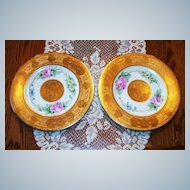 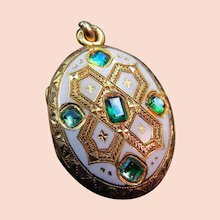 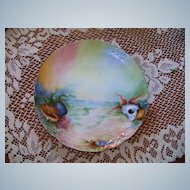 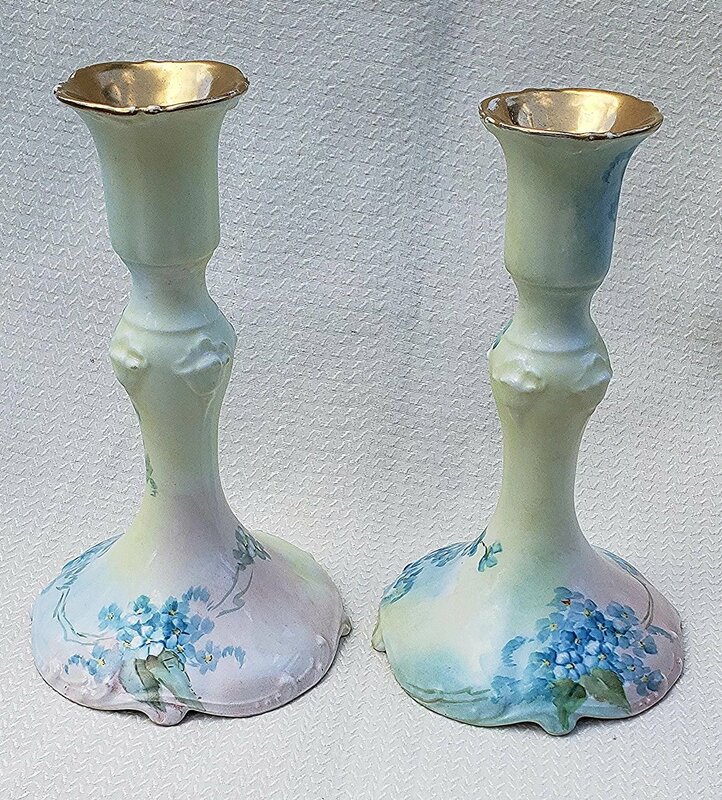 France"
The outstanding Vintage Jean Pouyat Limoges France 1908 Hand Painted Pair of "Forget Me Not" Floral Candlestick Holders shows exceptionally well and are just perfect for a Dresser, Vanity, Bath, Counter, or Table.